I might not be the biggest football fan in the world, but when there’s any big sporting event I like to get involved. And by involved, I mean I like to have snacks. 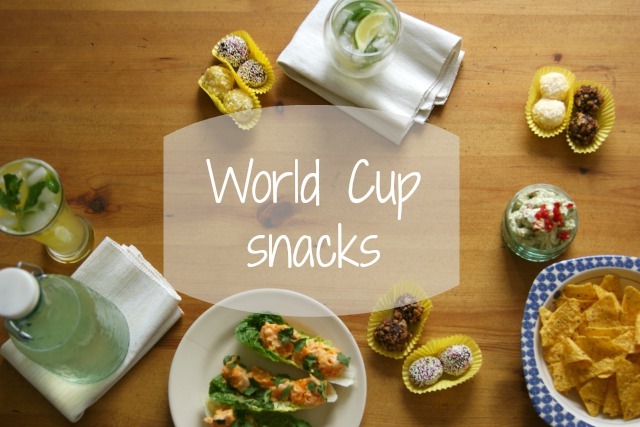 In honour of the World Cup kicking off this week, I’ve put together my list of Brazilian inspired food and drink. Go England! 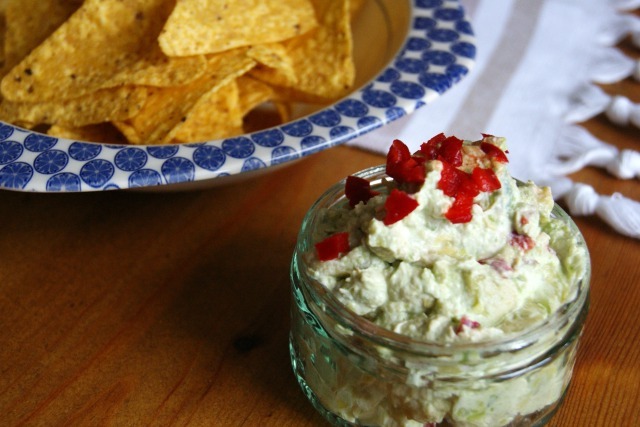 This dip was really easy to whip up, just mix together one avocado, two dessert spoons of cream cheese, the juice of half a lemon, and some red chilli (depending how spicy you like it). 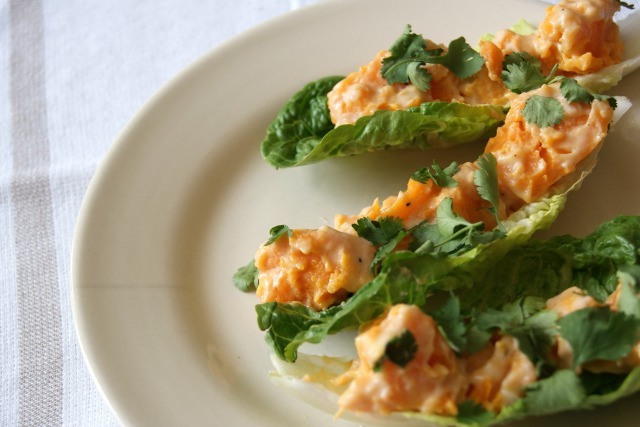 This sweet potato salad has a bit of a tangy kick from the vinegar and mustard. Serving it up on a lettuce leaf gets me some of my veg for the day and makes it easier to snack on without all the hooha of cutlery. I’m a lazy snacker. The recipe I tried can be found here. Brigadeiro are a national treasure in Brazil and are both delicious and really easy to make, if you have enough patience. They are chocolate caramel sweets which are so rich that when I made them I thought there was no chance we’d be able to eat them all. Yep, didn’t need to worry about that. Their texture changes a lot depending on whether they are at room temperature or straight from the fridge. After much testing (I take my recommendations seriously), I prefer the thicker texture of when they are chilled. You can add to the chocolate flavour with lots of decorations, I opted for sprinkles and chopped hazelnuts. I followed the recipe here. 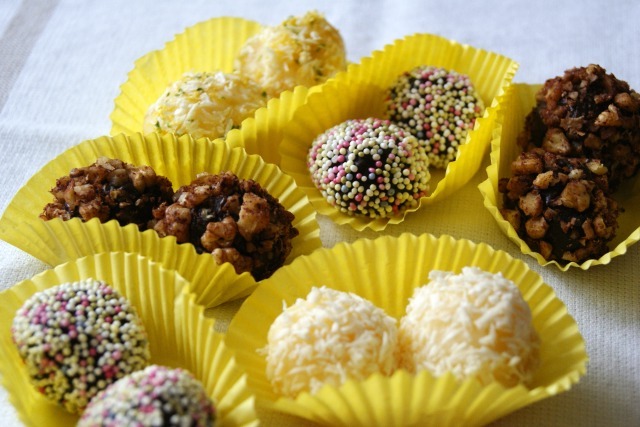 Similar to the brigadeiro, these little sweets are traditionally served at parties. 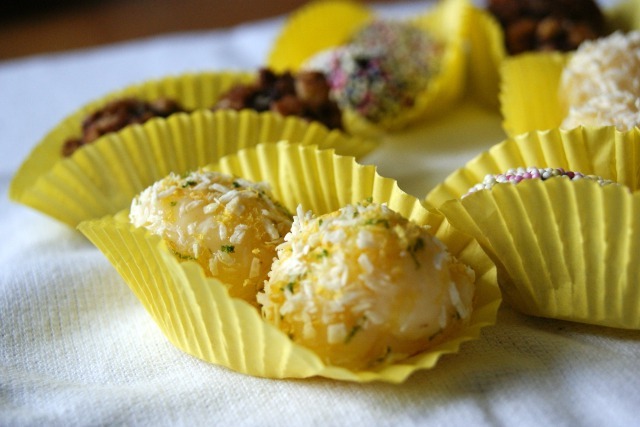 Easy to eat, these are caramelly, coconutty balls of loveliness, which also work well with some lemon and lime rind if that’s your thing. After making watermelon lemonade, I’ve become a bit fixated on fruity water. 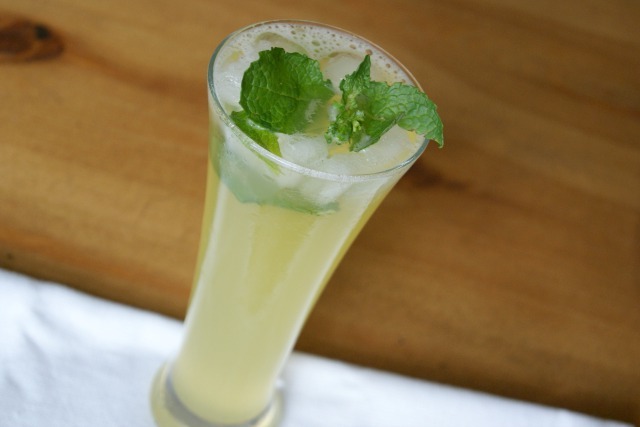 I made this pineapple mint water by muddling together mint leaves with a little sugar, adding fresh pineapple juice and topping it up with lots of iced water. Makes me want to sit in a beach bar all afternoon. I’ll make do with my sofa then. Of course! I couldn’t leave out Brazil’s traditional cocktail now could I? 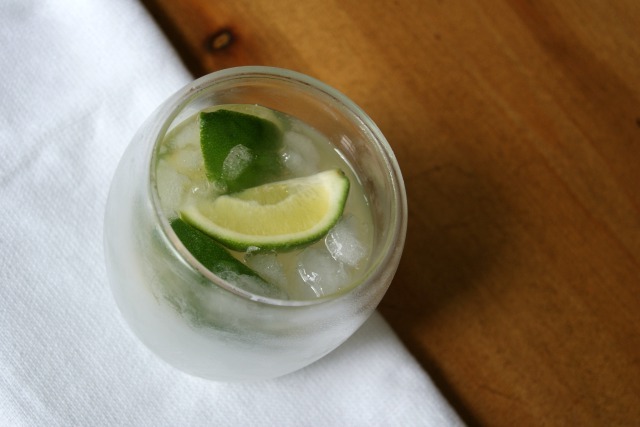 Simple, icy cold and tangy – find the recipe here.